Hey Recipe Critic readers! It’s Chelsea back from Chelsea’s Messy Apron! How is your December going? Ready for Christmas?! I can’t believe it is NEXT weekend!! It seems to come quicker every single year! 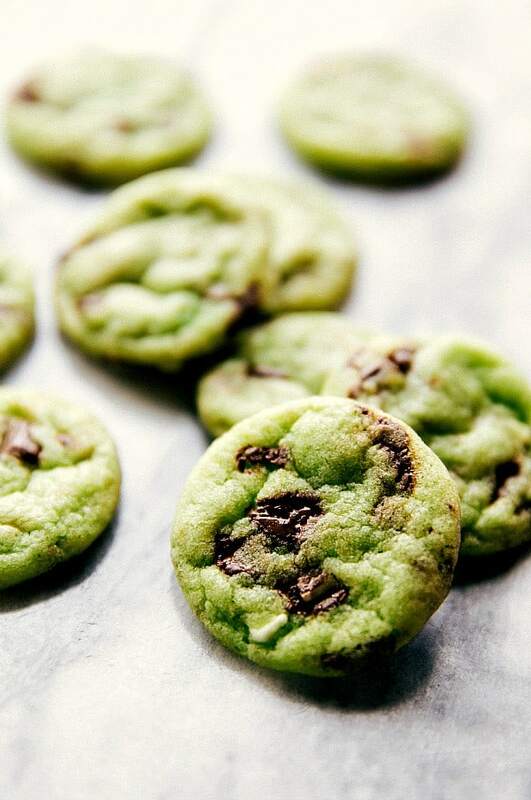 These mint chocolate-chip cookies are one of my family’s favorite! They are delicious and simple to make! The green color comes from food coloring which can be omitted if desired. Enjoy! In a large bowl cream together the butter and both sugars until light and fluffy. Beat in the egg and peppermint extract. Add food coloring if desired. Add in the cocoa powder, baking soda, and salt. Mix. Roll small balls of dough and bake for 5-8 minutes or until cookies are set. I made these and I am rather confused. They tasted good, but the cocoa turned the cookies brown. 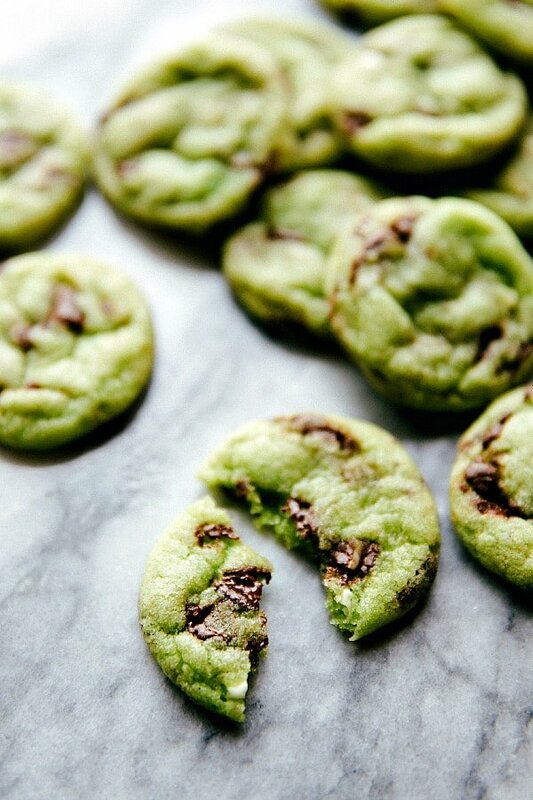 I have no idea how you got green cookies with cocoa powder in the mix. I mean, I added food coloring but once the 4 tablespoons of cocoa went in everything went as brown as brownies. I really wanted the green cookie; would it work to omit the cocoa next time? Also, I only put in 1/2 teaspoon peppermint extract and it was quite strong. Maybe brands vary? I used McCormick.